Tiggs Da Author (vocals); George Hasbury (guitar); John Paul (keyboards); Stephen Morgan (bass); Jon Rodney (drums). Tiggs Da Author is a multi-faceted man. His musical style is influenced by classical East-African jazz and the soulful sound of Motown, but also by pounding grime, reggae, and smooth hip-hop. The 25-year-old rapper and singer-songwriter was born in Tanzania, but when he was eight he moved to the United Kingdom. There he grew up to become a talented soccer player, but eventually chose a career in music. We should be grateful, because since his first hit song in 2015, the catchy Georgia that was streamed over six million times on Spotify, the Londoner's career is taking off quickly. 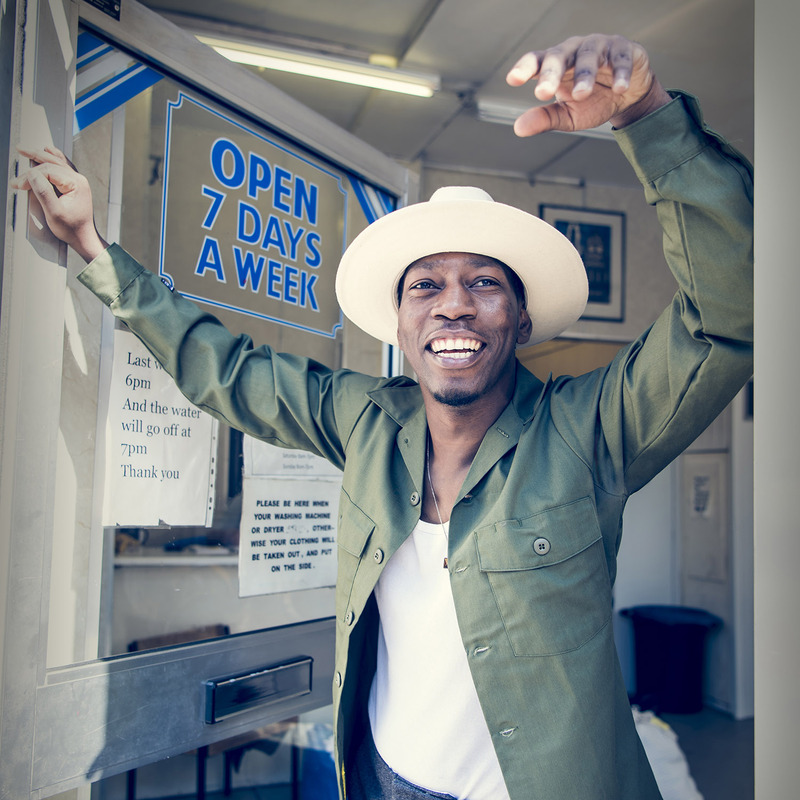 Tiggs Da Author was asked to perform on Later With Jools Holland, featured on the soundtrack of FIFA16 and performed at various festivals, including Pukkelpop and Lowlands. Fans of feel-good music with a 'phat' soul edge will not be able to resist the show of this sympathetic Tanzanian, who is now working on his debut album.